Theft offenses vary widely in their nature, severity, and consequences. If you have been charged with a theft-related crime, you need a defense attorney who has seen them all and is prepared to fight for your rights at trial. At Just Criminal Law, our skilled criminal defense team has the knowledge to take on theft-related cases in Wyoming and South Dakota. Other theft offenses, particularly forgery and embezzlement, usually happen inside a business. These cases are often more complicated and sometimes involve years of paperwork and money tracing. If you have been charged with a business-related theft crime, you need a criminal defense team that is willing to do the investigation required to find your strongest defense. Many theft crimes involve a lot of physical evidence: bank records, video recordings, and computer logs. These may all be used in your case. To develop your strongest defense, you need a criminal defense team that is willing to go deep to investigate the charges and the data behind them. Based on the investigation, we will help you understand the strengths of your case, so you can make an informed decision about whether to take a plea agreement or bring the case to a jury trial. All that work pays off in the courtroom. 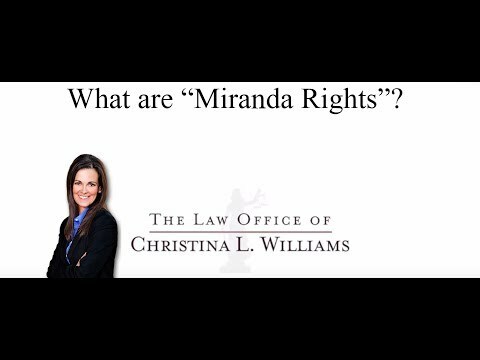 With over 15 years of trial experience, Christina Williams has the skill and experience you need to present your best defense to the jury. In a complicated white collar case, she and her team will help the jury understand the evidence, and show them the holes in the prosecution's case against you. The penalties and consequences of theft crimes are as varied as the charges themselves. Depending on the nature of the crime, the consequences may be quite severe. Crimes like embezzlement can make it very difficult for you to find employment. In addition to prison time, white collar crimes can damage of your reputation in your community, even if you are never convicted. We will take the time to explain the consequences of each theft-related crime, so that you know what to expect. As a former prosecutor, our founder, Christina L. Williams will provide you with a realistic analysis of your case, so you will understand the possible and likely outcomes. No matter what kind of theft crime charges you are facing, the first step to move past them is a free consultation with an experienced criminal defense team. We will take the time to understand your case and your priorities. We make time every week to meet with new clients facing charges in Wyoming and South Dakota, so you won't have to wait. To learn more about how we can help you, call 307-686-6556 or contact us online to schedule your case review and strategy session with our dedicated client care specialist. Spanish language services are available upon request. What do I do if the police ask to search my property?